David Hasselhoff has been talking all day and is well into his stride. A greeting from me and he’s away. “I love Newcastle,” he enthuses. “It’s hard to understand your accents up there but we were in Newcastle for a personal appearance and I knew it would be a lot of fun. 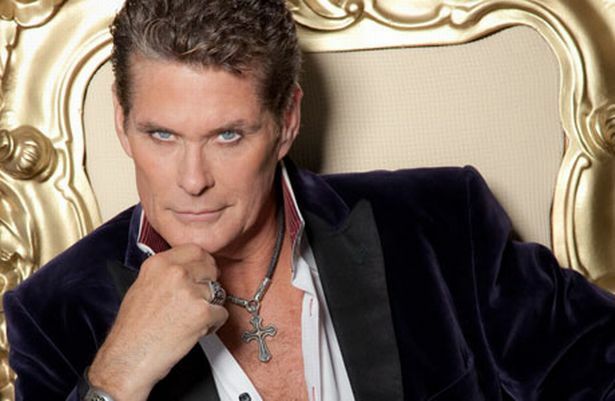 The Hoff, as he is widely known, is not actually bringing his “explosive new production” to Newcastle – not yet anyway. But the chance to elicit his views on the relative friendliness of the people of Sunderland and Darlington is beyond brief. Before I’ve drawn breath, the Hoff is off onto another subject. “As usual there’s lots going on all at once in this crazy career,” he says, telling me about the promotional video he made for a Swedish action film called Kong Fury which has had over 14 million hits on YouTube. I’ve done a bit of homework on this one. The Hoff belted out an 80s-style anthem called True Survivor which became part of the soundtrack of the film which features dinosaurs, Adolf Hitler, skateboarding, time travel and Norse gods. The promotional film, in carefully matching understated style, closes with a shot of the Hoff and the film’s star riding off on a Tyrannosaurus rex. Probably it’s not going to be an Oscars contender. But in the world of the Hoff, it seems, anything can and does happen. “I’m actually looking at buses,” he says, and suddenly the voice goes quiet. I’m left hanging on the telephone like Debbie Harry. Has he gone? To be honest, I’ve no idea where in the world he is anyway. Los Angeles? Sweden? The back of a T-Rex? When told the Hoff is going to call at 3pm (It was going to be 1.30pm but he got delayed) the thing to do is pick up the phone and just listen. 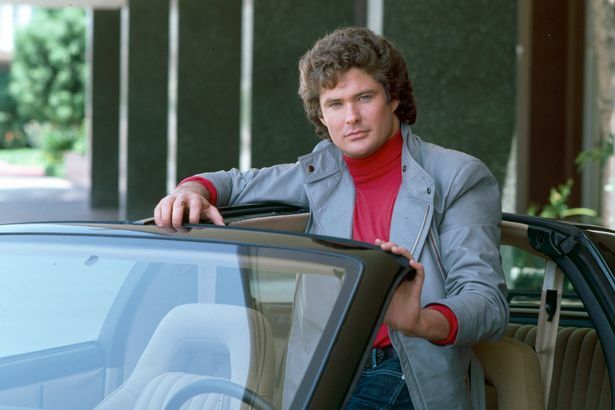 So much could be said about the star of Knight Rider looking admiringly at buses – they’re London buses; the Hoff is hanging out in the capital, in transpires – but there’s too much ground to cover and we must move on. In Hoff the Record, to be aired on the comedy channel Dave, the man whose name is a gift to programme makers and headline writers plays, according to one report, “a fictionalised version of himself”. Feasibly, you might wonder: why go to the trouble when the unfictionalised real thing is pretty interesting? But television’s another planet and presumably they know what they’re doing. Now to the “explosive new production” which is coming to Darlington in November and Sunderland in January with the Hoff the meat in a Christmas sandwich. It is a “brand new musical” called Last Night a DJ Saved My Life. The world premiere is to be at Blackpool Opera House on October 16 and then it will hit the road – 68 nights at more than 20 venues over 13 weeks. The Hoff plays Ross who is described in the promotional material as “a hilarious hedonist. 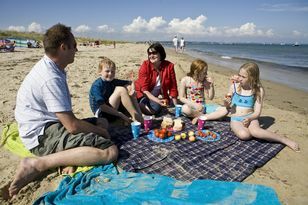 Ross is trying to keep up with the times and also with Mandy, his new young girlfriend (to be played by Kim Tiddy from The Bill and Hollyoaks), but things get complicated when his teenage daughter, Penny (Stephanie Webber, The Voice) arrives to stay. Father and daughter haven’t seen each other since a messy divorce three years ago. The “demure schoolgirl” has turned into a “wild child” who falls for Rik the holiday rep (Shane Richie Jnr.). Says the Hoff: “It’s going to have a lot of music from the 80s and 90s. We’re working on the set list, adding songs. It’ll be an Ibiza extravaganza, looking back at how Ibiza really started with all the dance clubs. In the case of the Hoff, that word ‘reality’ is a little loaded. With daughters Taylor-Ann and Hayley, he made a reality TV series called The Hasselhoffs which was partially aired on an American cable channel before reportedly being cancelled after two episodes. At the weekend the Hoff reminded Twitter followers to watch his “beautiful” Taylor-Ann appearing in another reality show called Rich Kids of Beverly Hills. 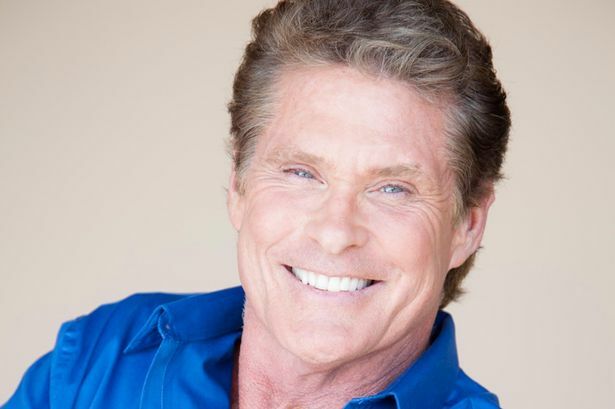 Discussing the new stage show, the Hoff gets momentarily confused, referring to his daughter when he means his girlfriend, and I get a little mixed up about where fact begins and fiction ends. The problem is compounded when the Hoff touches on the relationships between the various characters and generations. As well as star, says the Hoff, he is executive producer. “I got together with the guy who’s writing it. He sent me the first draft and I said, ‘This is not for me. It’s too shallow. We need characters that people care about. We need some heart and some humour in there’. Songs will include Girls Just Wanna Have Fun (Cyndi Lauper), Relight My Fire (Take That), Papa Don’t Preach (Madonna) and Can’t Touch This (MC Hammer). Listen out, too, for a Spice Girls medley and the theme to Baywatch. The Hoff is candid about his forthcoming tour. There’s no doubting the Hoff’s energy. But is a man who once made a living as a 1980s Baywatch hunk, running across the sand in tight trunks, up to the demands that await? “I’m fit already,” he declares. “I’m fit now but I do have to be really fit for this show. The thing is, you really do get fit on the run. I ask if there’s a wedding in the offing. A few years ago the Hoff gave the gossip columns gilt-edged copy when he started dating Haley Roberts – nearly half his age – who worked on a make-up counter in Merthyr Tydfil. The Hoff, with so much back catalogue and fingers in so many pies, must have a lot of fans, I suggest. “The most recognition I get now,” he says, a touch ruefully, “is from men who watched Knight Rider 30 years ago when they were kids. The Hoff is cool, too. At least, when he’s not being hot, hot, hot. * Last Night a DJ Saved My Life will be at Darlington Civic from November 23-28 (box office: 01325 486555) and Sunderland Empire from January 6-9 (0844 8717615).